Choose from our stylish selection of wholesale handbags, purses, wallets, and women's fashion accessories, for resale! Ideal for retailers, flea market vendors, e-commerce sellers, and more! Welcome to Best Handbag Wholesale! Retail is as tough game, especially when it comes to women's fashion. No one understands that better than us, which is why we strive to offer the very finest in women's handbags and purses (not to mention other stylish accessories) with low wholesale prices to keep your customers, and your margins, happy. We have a particular eye for Western fashions and apparel, so if that's your specialty you're definitely in the right place. Here at Best Handbag Wholesale, our name says it all. If you're looking for a wholesale handbag supplier or wholesale purse supplier with a great selection and great prices, there's simply no one better. While our specialty is in Western-style handbags and pocketbooks, we have bags that will appeal to fans of any classic or designer handbag. Some of our most popular styles include animal print, genuine leather, camouflage, cross-body handbags, clutches and evening bags, Bible covers, and more. Looking for something in particular? 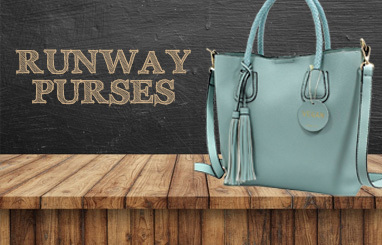 Our wide selection of wholesale handbags includes pocketbooks and purses featuring Velcro and zipper closures, adjustable shoulder straps, rhinestone accents, embossed filigree, ornate buckles, Bible verses, leather fringe, and much, much more. Browse our stock and see for yourself. Of course, there's more to being fashionable these days than just a stylish handbag. If you want to stay competitive, you need to offer your customers a wide variety of fashion accessories. That?s why we offer wholesale women's fashion accessories like women's wallets, phone bags, belts, buckles, conchos, scarves, and more. If you?ve got demand, we've got supply. Fashions may come and go, but beautiful, high-quality jewelry never goes out of style. 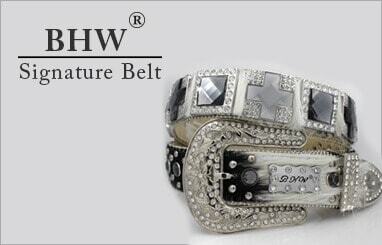 Keep your inventory well-stocked with our selection of wholesale women's jewelry. We carry a variety of styles: Western turquoise jewelry necklaces, silver pendants, gemstone bracelets, leather fringe armbands, crystal bootstraps, brooches, stone jewelry, cross pendants, and much, much more. 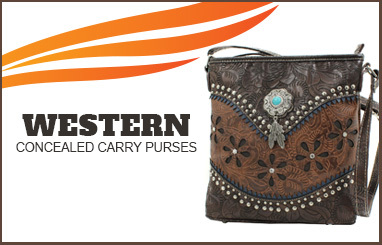 Our handbags, purses, and other accessories are at their best when they're complimenting our stylish wholesale Western apparel and clothing. We carry women's t-shirts, blouses, tank tops, leggings, hoodies, ponchos, cardigans, and more. 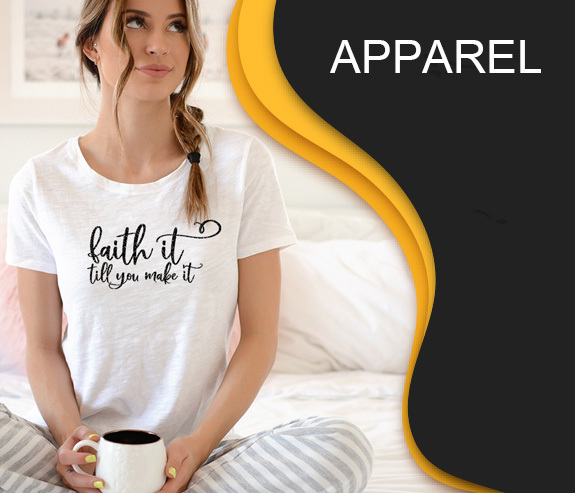 Much of our apparel comes with amusing lifestyle slogans that a guaranteed to delight your customers. In addition, we have a great selection of wholesale footwear such as rhinestone sandals, flip-flops, fleece-lined boots, slippers, hair-on-hide shoes, women's flats, and more. Our quality selection is always expanding and changing; your customers demand new choices and we provide you with the inventory you need to keep up. We also take pride in offering rock-bottom prices for designer-quality products, and customer service that can't be beat. See for yourself! Shop today! To order call 1-(866)-PURSES-1 | Wholesale Only, $75 minimum.